METALLICA will be honored with the prestigious Polar Music Prize. 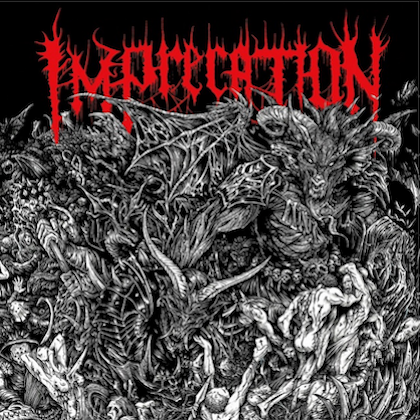 The San Francisco Bay Area heavy metal giants have been chosen as one of the 2018 recipients of Sweden's biggest music award. The announcement was made Wednesday (February 14) morning at Stockholm City Hall by Alfons Karabuda, chairman of the Polar Music Prize award committee. METALLICA drummer Lars Ulrich said: "Receiving the Polar Music Prize is an incredible thing. It puts us in very distinguished company. It's a great validation of everything that METALLICA has done over the last 35 years. At the same time, we feel like we're in our prime with a lot of good years ahead of us. Thank you very much." 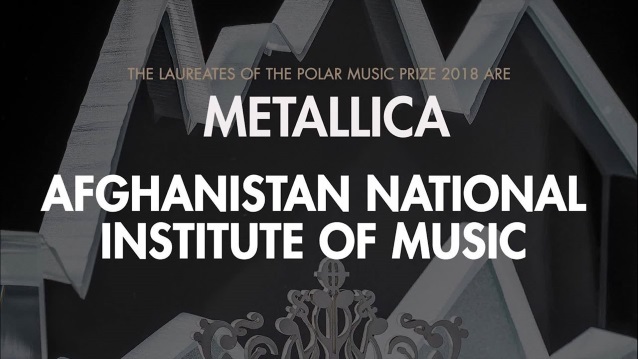 METALLICA frontman James Hetfield added: "I feel very honored to be in such great company with the others who have accepted the Polar Music Prize. As myself and as METALLICA, I'm grateful to have this as part of our legacy, our history. Thank you." METALLICA bassist Robert Trujillo said: "Receiving the Polar Music Prize is such an honor, especially sharing it with [previous laureates] such as Joni Mitchell, Keith Jarrett and Wayne Shorter, who I admire dearly… Hopefully this will inspire younger generations of musicians to keep the music alive." METALLICA guitarist Kirk Hammett said: "It means a lot to me because we've been added to a list of very distinguished artists and musicians who I respect. And to be acknowledged for the work we've done. I know how important this is and how much of an honor it is." Previous winners of the Polar Music Prize include Elton John, Sting, Ray Charles, Bob Dylan, LED ZEPPELIN, PINK FLOYD, Peter Gabriel, Stevie Wonder, Paul Simon, Joni Mitchell, B.B. King, Quincy Jones, Paul McCartney, Max Martin and Bruce Springsteen. The Polar Music Prize honors two laureates every year to "celebrate music in all its various forms" and "to break down musical boundaries by bringing together people from all the different worlds of music." It awards each laureate one million kronor (approximately $125,000) at a gala in Stockholm. Ulrich and Trujillo will accept METALLICA's prize from His Majesty King Carl XVI Gustaf of Sweden on June 14 at the Grand Hôtel. 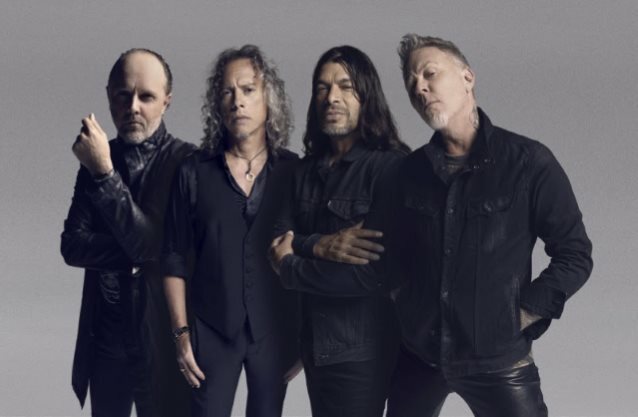 METALLICA will donate the prize money to its All Within My Hands Foundation, which is dedicated to assisting and enriching the lives of the members of the communities by supporting workforce education, the fight against hunger, and other critical local services. In a statement announcing METALLICA's award, the Polar Music Prize award committee said: "Not since Wagner's emotional turmoil and Tchaikovsky's cannons has anyone created music that is so physical and furious, and yet still so accessible. Through virtuoso ensemble playing and its use of extremely accelerated tempos, METALLICA has taken rock music to places it had never been before. In METALLICA's world, both a teenage bedroom and a concert hall can be transformed into a Valhalla. 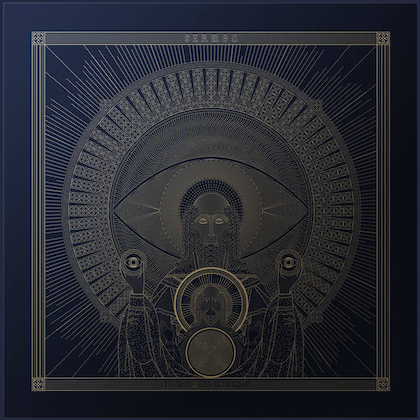 The strength of the band's uncompromising albums has helped millions of listeners to transform their sense of alienation into a superpower."